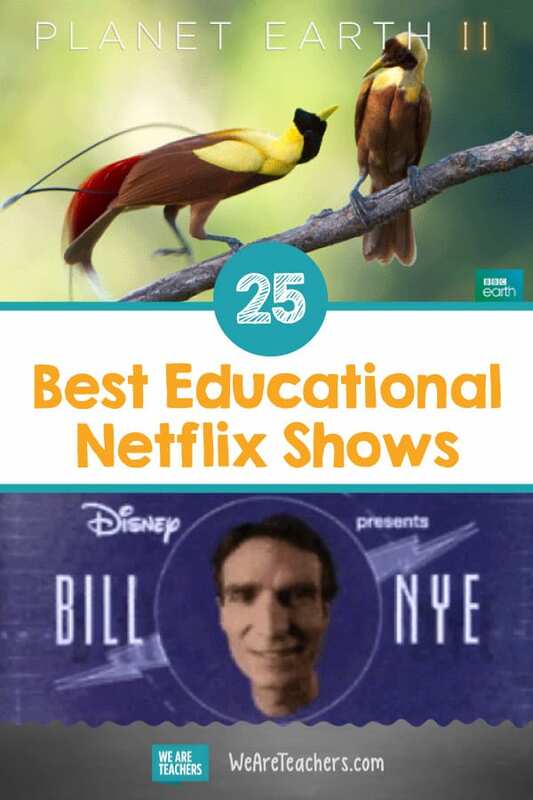 What are the best educational Netflix shows? We asked members of our WeAreTeachers HELPLINE, and here’s what they had to say. But first, a couple of tips. Some teachers told us that their schools block Netflix, so they use Netflix’s offline feature to download certain shows and use them during class. Others wondered about the legality of streaming Netflix in the classroom. While Netflix does prohibit public screenings of its content, representatives have said that this prohibition does not include classroom use. It’s a bit of a legal gray area, however, so use your discretion, and feel free to contact Netflix with any questions. Lots of teachers mentioned using this Disney Channel classic to teach concepts like gravity, light, and evolution. When a science concept just isn’t clicking for your students … Ms. Frizzle to the rescue! Stream episodes on the human body, gardening, weather, and more. If you teach about the ocean, chances are there’s an Octonauts episode related to your unit. Great for introducing younger students to observation and the scientific method. A fun reward for your beginning readers … watch Whyatt and his pals solve problems through the power of reading. This science-based show answers all sorts of questions kids tend to ask. The only thing more curious than the bots are kids. Celebrity appearances and a music video at the end of each episode only add to the fun. Based on the popular book series, this live-action sketch-comedy show brings important historical figures, like King Tut, Marie Antoinette, and Pablo Picasso, to life in an entertaining and hilarious way. “I use this movie with my seventh and eighth graders to talk about bullying and suicide. I ask for parental permission slips first.” —Krista H.
Help students understand the brain science behind just about everything, from fear to persuasion to exercise. This incredible series, narrated by David Attenborough, explores life on Earth in extraordinary detail. This award-winning documentary series is perfect for middle school science or geography classes. An amazing documentary series about the natural habitats of China. Colombia: Wild Magic is a similar title. Comedian Kevin Hart uses his silliness for good, teaching viewers about some of history’s unsung black heroes. Based on the book of the same name, this movie tells the real-life story of William Kamkwamba, who saved his village by inventing a windmill. This Academy Award–nominated documentary will take students to the South Pole, where they will meet the people and animals of this wondrous and strange place. That’s right, gumshoes! The story of the legendary professional thief has been remixed into a cartoon series. But in this iteration, Carmen is trying to thwart evil. Those of us who grew up playing the computer game and watching the game show will love introducing the globe-trotting Carmen to a new generation of kids. “I use a number of films from the American Experience series. Next up: War of the Worlds. Very excited!” —Lacey M.
In this wacky talk show, the popular educator explores scientific topics in the everyday world, including climate change, video games, and space travel. “I use this travel show about two friends crisscrossing the globe in my geography classes.” — Laura R.
Help students better understand extreme poverty with this documentary about two friends who visit Guatemala and attempt to live on one dollar a day. “I use it to teach irony (‘Time Enough at Last’), scapegoating (‘Monsters Are Due on Maple Street’), and conformity (‘The Eye of the Beholder’). I’ve also used episodes as a quick, fun, shared experience for us to look at setting, conflict, and/or theme.” —Jacky B. This Netflix series is a lot like Planet Earth, except it urgently calls for viewers to think about the ways that human actions are putting the nature and animals the series covers in peril. In less than 20 minutes, the show tackles various topics, from the water crisis to the racial wealth gap, in an accessible way. Be sure to preview episodes, as some are not suitable for the classroom. Inspire the creatives in your classroom with this eight-episode documentary series on some of the world’s foremost designers, including photographer Platon, graphic designer Paula Scher, and sneaker designer Tinker Hatfield. 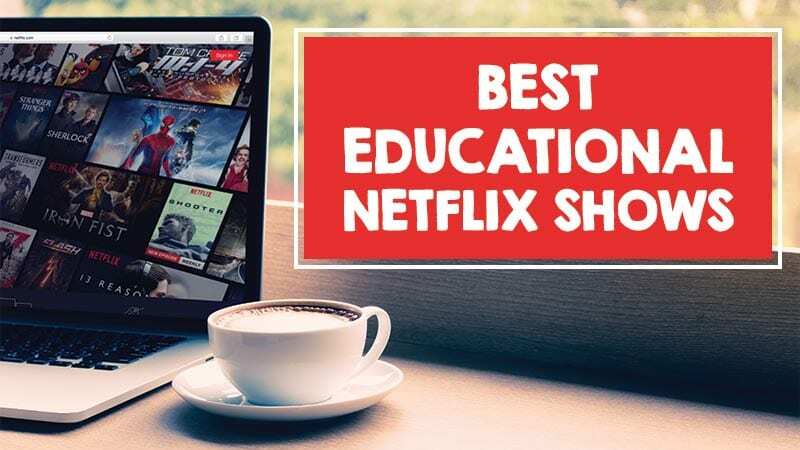 What Netflix shows, movies, or documentaries do you use in your classroom? Come share in ourWeAreTeachers HELPLINE group on Facebook. Plus, the best TED Talks to spark student discussion.